Less than a week until the Festival! There is less than a week until the festival begins, and the excitement is mounting! 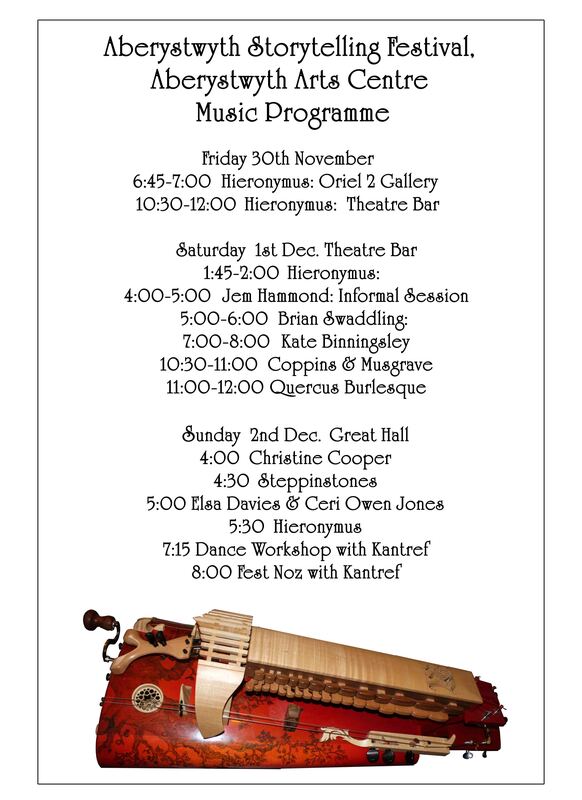 We have had a few last-minute adjustments to the timetable, so do check out the current version of the programme flyer. Some new descriptions have been added to the main programme page, as well. Times and locations for everything are included…stories, performances, musical acts, workshops, films and live performances in The Box. Actually, we have something like three festivals all rolled into one – storytelling, music, and film. See you at the Arts Centre on Friday, Saturday, and Sunday, but get your tickets now to guarantee your seat.